In a new study published in Nature, researchers have demonstrated a technique that allows the mapping of organs at microscopic scales; they detail its use and produced images of the microvessels in the brain of a live rat. Image of the whole brain vasculature at microscopic resolution in the live rat using ultrafast Ultrasound Localization Microscopy: Local density of intravascular microbubbles in the right hemisphere, quantitative estimation of blood flow speed in the left hemisphere. Current techniques of microscopic imaging are not ideal. Just like in geological imaging techniques, there’s a tradeoff between penetration depth, resolution, and time of acquisition. In other words, if you want to see all the way through the human body, you won’t have good enough resolution – or you will but it will take a very long time. Until now, conventional imaging techniques have worked at milimetre and sub-milimetre scale at best, being limited by one of the fundamental laws of physics: features smaller than the wavelength of the radiation used for imaging cannot be resolved. But Mickael Tanter, a professor at the Langevin Institute and his colleagues have come up with a new approach, and report a new super-resolution. Like a few other recent studies, they used microbubbles, with diameters of 1–3 micrometres, which were injected into the bloodstream of live rats. 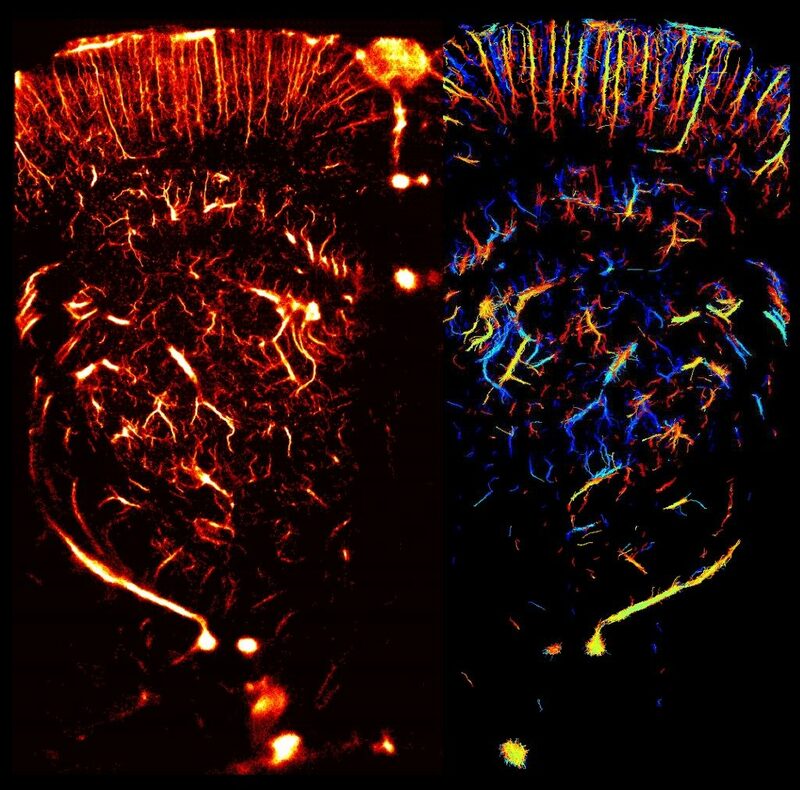 They then combined deep penetration and super-resolution imaging in a technique they call ‘ultrafast ultrasound localization microscopy’. With this, they obtained ultra fast frame rates (500 / second), and achieved a resolution equal to the rat brain microvasculature – less than 10 micrometers in diameter (0.01 milimetres). While this is still a work in progress, authors believe it can help doctors make better diagnostics and better understand how some diseases affect the body.